The vintage look and vibrant tone of the patented Goodtime Special tone ring set this banjo apart, as clearly louder than the Goodtime Two and great for playing in a band setting. 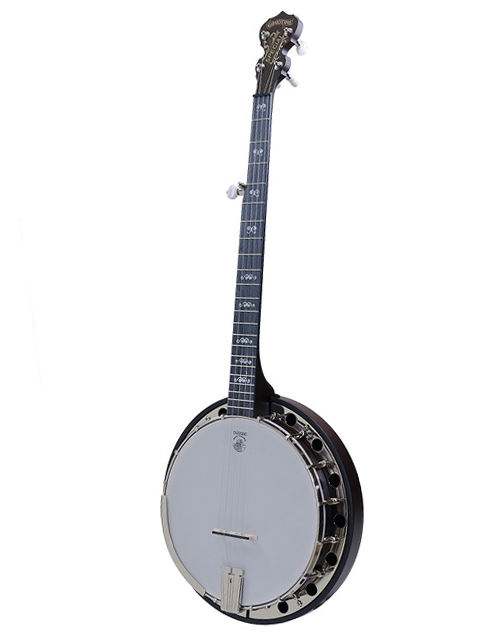 A White Head alone banjo with a modern look, the Midnight Special is the top of the Goodtime line. It has our new patent pending Tone Ring mounted on a violin grade maple 3-ply rim for a sound that is absolutely amazing in an affordable banjo. The stunning new Artisan Goodtime Parlor is a four inches shorter than the Artisan Goodtime making it ideal to travel with. Durable and easy to maintain, this banjo is also perfect for children. The Artisan Goodtime series by Deering is a small selection of banjos that look great and sound great! Choose from the Artisan Goodtime Open-back or the Artisan Goodtime 2. We also carry the Artisan Goodtime Special which has a resonator, ideal for bluegrass style. When you buy an Artisan Goodtime Banjo, our banjo experts will professionally set it up so it's ready to play when it arrives. Enjoy free shipping on all Artisan Goodtime Banjos when shipping within the continental United States.